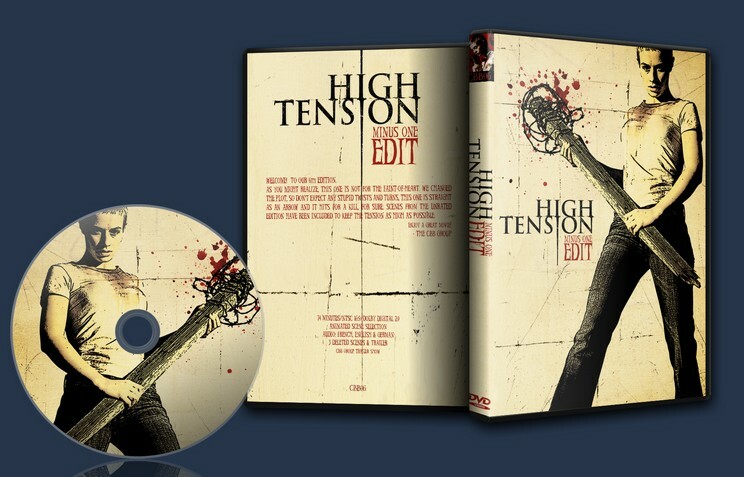 High Tension in its original version is very tense. The director was obviously very ambitious about this project. The movie started as a slasher movie, which in its very cruelty can only be compared to Texas Chainsaw Massacre (although most people compare it to that one because of the motorized saw). But that did not seem to be enough for the director, maybe because he is too French to just follow a superficial storyline. So he constructed a plot twist, turning our maiden hero to the killer, which was… shocking, because it did not make any sense at all (were there two cars, when did Marie start making things up, what about the video camera in the filling station, how could she be so strong, where did the weapons come from, what was real after all????). Our edition contains no plot twist. Marie isn’t the killer and of course you never ever suspect her to be one. She tries to save her girlfriend, goes after the killer, beats him to death and that was just too much for her to take, she ends up in hospital. This was a very enjoyable edit. Changing the ending completely fixed it for me. This was a very nice and enjoyable edit. It was a little bit slow to start, compared to the original, but of course this edit makes alot more sense and therefore more enjoyable. There was one slight technical problem though. Near the end, at the 1:08:35 mark, the audio changed to French on the English audio track. It’s only one or two lines of dialogue though, but I did have the subtitles on, so no biggie. The ending was a bit rushed, but removing the god-awful twist is a gift of the Gods. Thank you for this wonderful horror movie.